The attorneys of the Alaska Personal Injury Law Group have successfully tried and settled defective gun cases. These cases present complex, unique legal issues. A gun may be defective in manufacture if a part fails or was improperly made. It may also be defective in design, for example, where a safety disengages without the user's knowledge. The manufacturer will always blame the user, who may have been killed by the gun and unavailable to explain what happened. The attorney must be able to analyze the accident and the gun; find experts to evaluate the gun and its defects; and present evidence to the jury in a clear and understandable way. Expensive, complicated testing documented by high speed photography is often necessary. 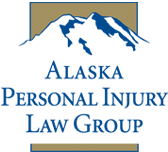 The attorneys at the Alaska Personal Injury Law Group are experienced in gun cases. Mr. Moody obtained the largest verdict in a defective gun case in state history. Paddock v. Thompson-Center Arms. In that case, a single shot Thompson Contender handgun with the safety engaged fell from the shelf on a fishing boat, discharging on impact. The resulting shot pierced an interior wall tragically killing a crewman. The jury found the gun defective and awarded over $4 million in damages. Mr. Moody later discovered that the manufacturer had hidden evidence and presented false testimony to the jury. This lead to a second lawsuit for fraud, fraud on the court and other claims based on the manufacturer hiding videotapes of internal Thompson drop tests in which the gun discharged when dropped even with the safety engaged. This resulted in a second trial, where judgment was entered against the manufacturer for an amount in excess of $8 million. Mr. Moody and Mr. Vollertsen also represented an 11-year-old boy who was shot in the head when his .22 caliber rifle separated from its stock and discharged. This case involved complex issues of gun design, extensive metallurgical testing, and forensic analysis. Mr. Moody and Mr. Vollertsen were ultimately able to obtain a settlement of $5.3 million for their client. Taylor v. Savage Arms. Contact us. 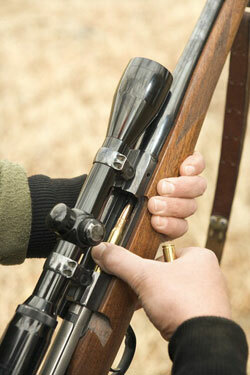 We are experienced in handling firearm cases.